Healings Forever: Cosiousness Ascension - Vedic Philosophy & Current Comprehension ! Cosiousness Ascension - Vedic Philosophy & Current Comprehension ! In the Vedic texts of Upanishads, it is mentioned, When energy (god) divided into multiple the fist division was into two everlasting supreme forces 'Aditya' (prana) & 'Rayi' (matter) . Sometimes 'Rayi' or 'Chetna' is translated as the total field of consciousness which interacts with the manifest and unmanifest dimension of name, form and idea. Human existence, thoughts, emotions, actions and behavior are associated with three Guna (गुण). Consciousness develops in stages to overcome the three Gunas (Property / Quality/Virtue). These are. 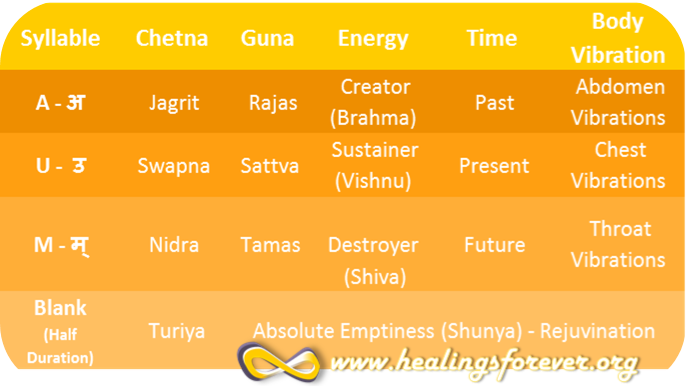 The three Gunas apply to all facets of life including, thoughts, ideas, food, habits etc. While Yogis practice ‘Saatvic Behaviour’ for consciousness ascension - the ultimate goal is to be detached from all gunas - both positive and negative. All gunas create attachment and thus bind one’s self to the ego. “When one rises above the three gunas that originate in the body; one is freed from birth, old age, disease, and death; and attains enlightenment” (Bhagavad Gita 14.20). Rising levels of 'Chetna' result in reduction in dependence on the three 'Gunas' & increase in conscious awareness of all existence. 1. Jagriti (Akin Conscious State) - It is the logical awareness of actions,thoughts, ideas, emotions and memory. It applies to the logical conscious awareness of everything involving self as well as the external environment. 2. Swapna (Akin Dream State) - It is a creative or imaginative stage in which the mind is creating things before they come into existence. Dream state is not necessarily in sleep but also in the consciously awakened state where the mind is imagining while co-existing in the physical reality. So, in the swapna state, there is awareness of the visible and also the invisible, the manifest and the un-manifest, the gross world and the subtle world, in harmony with each other. This state may be a consciously meditative state also. 3. Nidra (Akin Sleep State) - Shushupti -Sleep state used for both mental and physical rest which results in rejuvenation of energy “Prana”. It may also be a meditative state in which the physical senses are not giving as much input to the mind as the subtle conscious awareness. It is certainly a energy revitalisation state in any case. 4. Turiya (Akin Subconscious) - It means the fourth state which is working in the backstage of mind, for the development of the first three stages. It is referred to as atyanta-shunyata (absolute emptiness). This is also a stage of consciousness ascension called Transcendental Consciousness. 5. ‘Turiyatita Chetana’ by Sustained Turiya Consciousness(Cosmic Consciousness Realisation) - It is the beginning of awareness expansion resulting in conscious realisation that there is vast universe beyond self which is connected to us. The expansion of consciousness beyond our physical world begins at this stage. 6. ‘Bhagavat Chetana’(God Consciousness) - Conscious realization of the supreme energy and forces governing the manifested existence. 7. Brahmi Chetana (Creator or Unity Consciousness) - One with all vibrations of the cosmos - ‘ Aham Brahmasmi’. This is the stage dawns the realization and capability of 'Co-Creator'.